TongWei Qi is an Application Engineer at Alignex, Inc. TongWei spends his day assisting customers on SOLIDWORKS electrical products and teaching PCB classes. If he's not here when you call, he's likely tweaking Python and Pi or scoring penta kills in League of Legends. Have you ever been so careful with typing in numbers, colors and voltages for each line you drew that you wished a program could automate this error-prone process somehow? Or... sometimes an additional sensor was added to the design, now you have to renumber all the wires...manually—could this be less tedious? Let’s get one thing straight, electronics designers are not paid to draw component symbols and footprints all day. 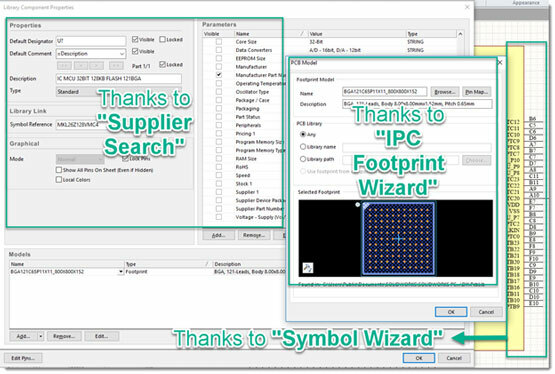 Ideally, one would be able to obtain ready-made symbol & footprint for all the components he or she ever needed to use and drop them directly on the design. However, the reality is even though there are a great deal of verified library components on the web for download, there will always be a quite a few component symbols or footprints that you need to create by yourself. 2018, another productive year for fellow electro-mechanical engineers. 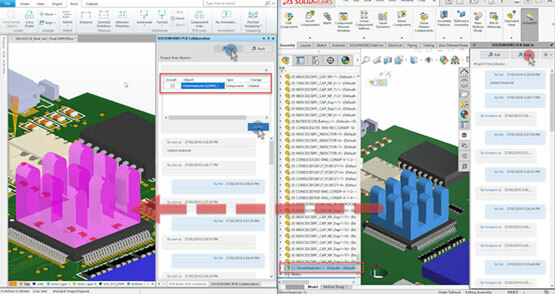 Thanks to your feedback and the SOLIDWORKS dev team, SOLIDWORKS’ unique ECAD-MCAD collaborative PCB design tools have evolved, boosting your productivity to a new level while saving time and money.